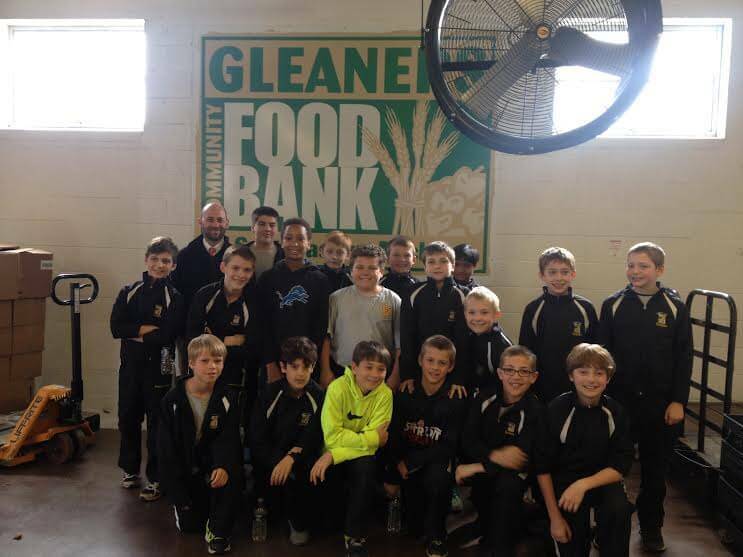 The 5th Grade boys from Everest Academy recently visited Gleaners Food Bank. 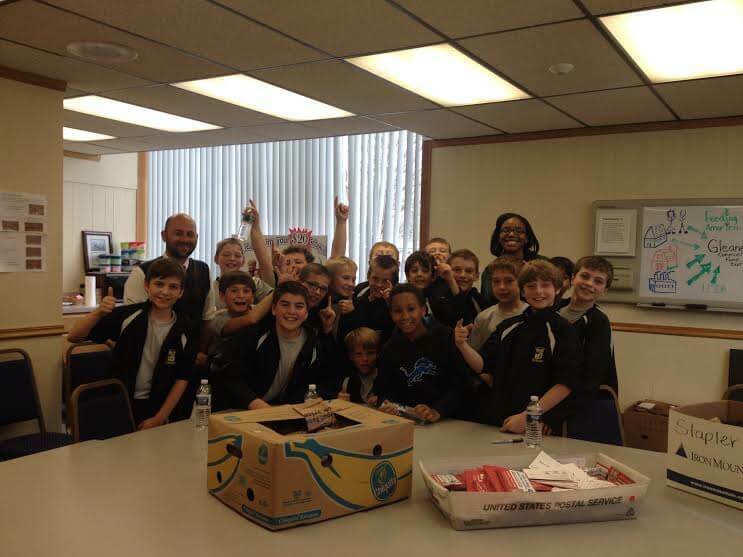 They helped prepare 5,675 groceries bags, including a special postcard from Gleaners requesting donations. The bags will be delivered to homes by postal carriers, with the goal of collecting 28,375 lbs of food. Donations will hopefully make it possible for Gleaners to meet its goal of offering 23,646 meals to the needy.